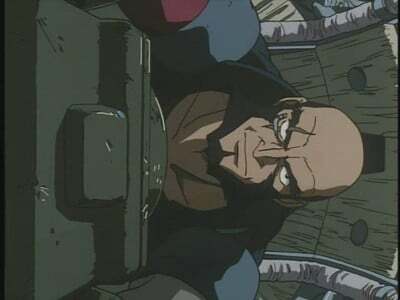 The Bebop is on its way to Ganymede, Jet’s home when he was a cop, to deliver a bounty named Baker Panchorero. 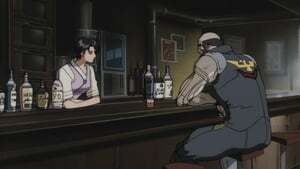 Jet starts to space out thinking about his old girl friend, Alisa, who left him years ago. 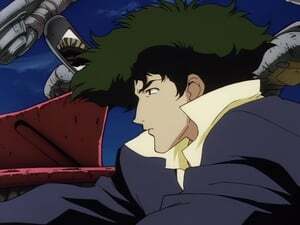 The Bebop lands and while Spike and Faye cash in the bounty, Jet goes to “Le Fin”, the bar owned by Alisa. While Jet and Alisa are reminiscing about old times, Spike finds out that Alisa’s current boy friend, Rhint, has a bounty on his head.